The Porsche 911 991 GT3 is, quite simply, a jaw-dropper. 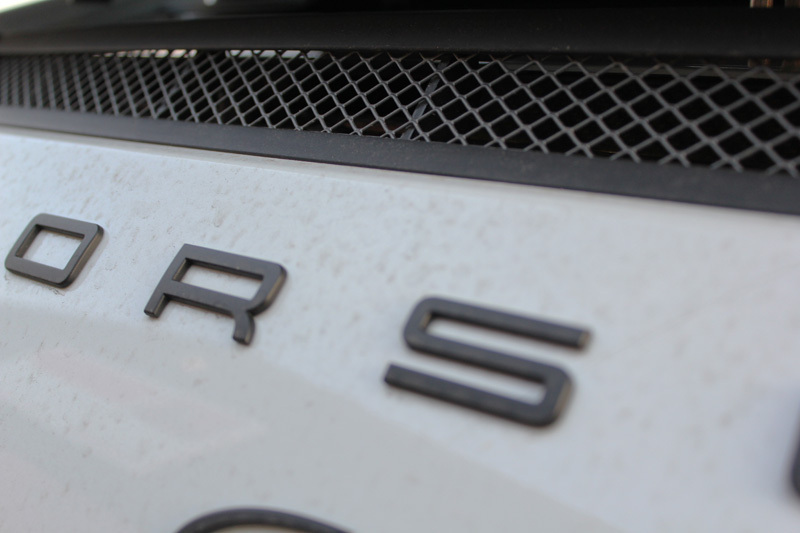 From the moment it roars into view the 991 GT3 grabs your attention and it’s not just the noise at the business end. The overall look is commanding! The latest generation of GT3 has received a makeover – new, deep front bumper with large air intakes, another air duct just below the bonnet, small sills beneath the doors give it a road hugging appearance that emulates its performance. The rear-mounted engine is well-serviced with a ram air intake and vertical air ducts on the all new rear bumper. Of course there is the unmistakable large wing soaring over the tail end. With aluminium doors, roof, wings and engine lid you’d expect it to be lighter than its predecessor, but at 118mm longer and 44mm wider the latest generation actually weighs in 35kgs heavier. The interior has received a makeover too, with the dashboard, centre console and trim having an executive-car feel to them. The aluminium pedals and a rev counter which tops out at 9000 rpm complete the picture. And of course, the ‘Noisy Button’ which when engaged enhances the sporty gurgle and sets the pulse racing! If that wasn’t enough, the reality of driving it is every bit as exciting as the dream, truly launching to the forefront everything Porsche has to offer. 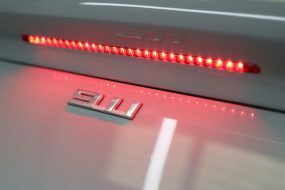 Apart from the power, which there’s plenty of, the front electro-mechanical system operates in tandem with the electro mechanical rear-wheel system. At low speeds this operates the rear wheels in the opposite direction to the front wheels – thus giving better low speed agility. Once you get outside the urban road restrictions and open the engine up, the two systems operate in parallel, giving better longitudinal stability. It roars, it twists, it turns, it grips and when you need it to, it stops. The new GT3 is nothing short of sensational. 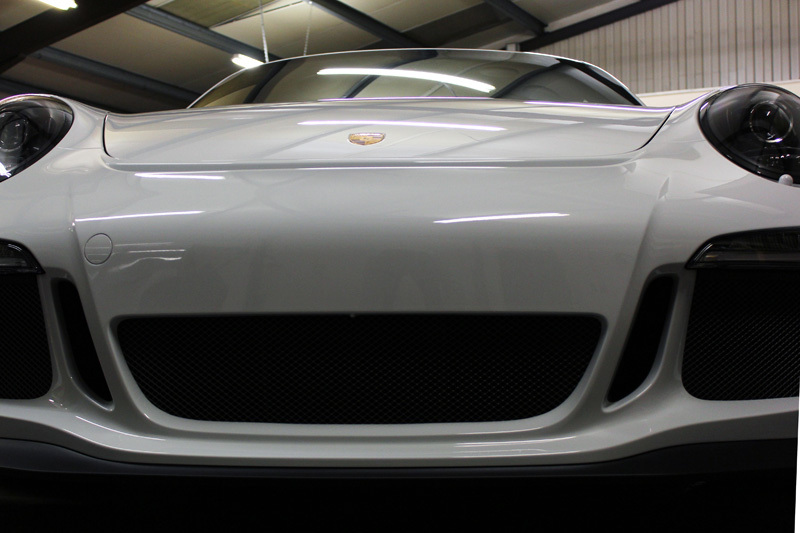 The owner of this GT3 had been waiting eighteen long months for his car to arrive. It must have taken a real turn of strength to bring it straight into the Ultimate Detailing Studio for a New Car Protection Treatment. 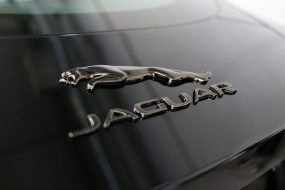 Good sense prevailed though and it arrived at the studio with little more than delivery mileage. 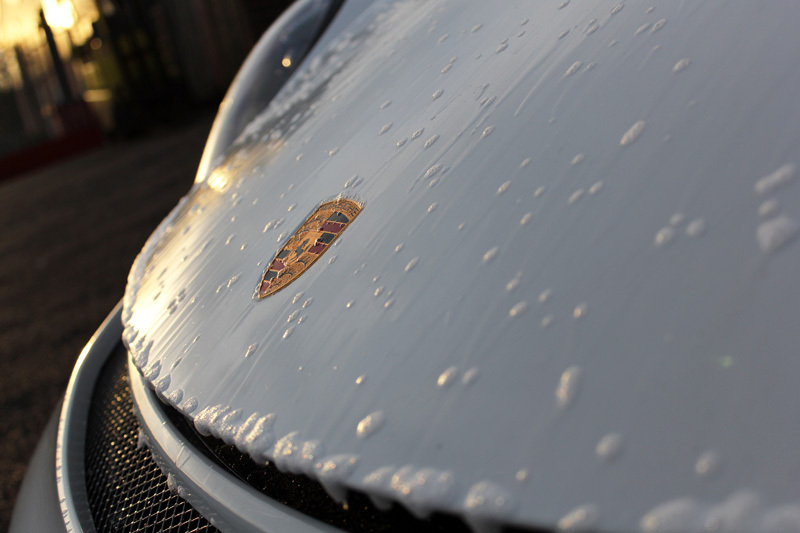 As to be expected with the time of year, it had been raining, so the GT3 was pretty dirty. Being white, every drop of dirt was highly visible and as the paintwork was as yet, unprotected, the dirt was clinging to the surface. 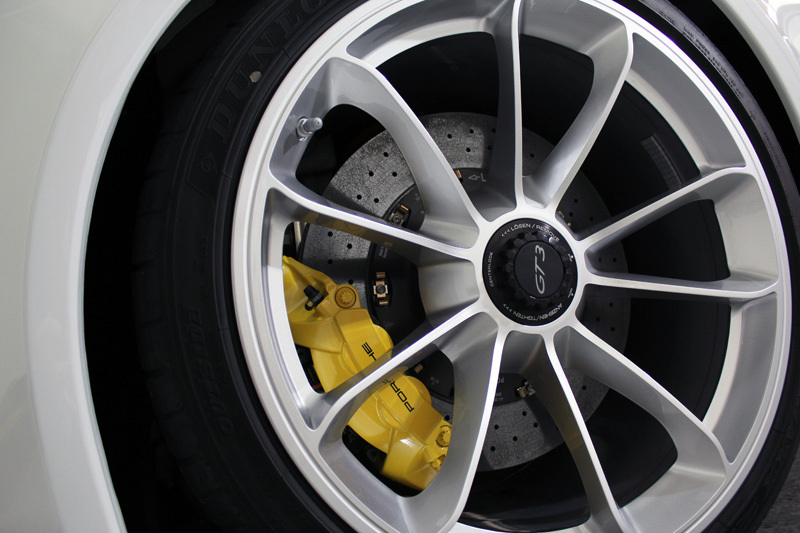 First the bodywork and wheels of the GT3 were treated with GYEON Q2M Iron to remove any bonded ferrous contamination – quite commonly found on new cars as they tend to be stored next to railway sidings during their transport from manufacturer to dealer. Next the car was treated with GYEON Q2M Tar to remove residue of transportation wax and protective wrap adhesives. 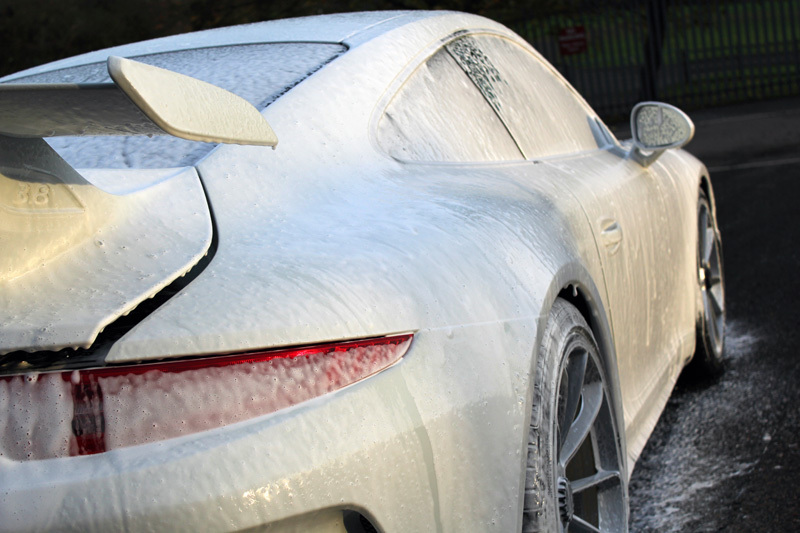 Then the GT3 was pre-cleaned with Ultimate Snow Foam to remove larger particles of dirt. Using a pressure washer the foam was rinsed away, carrying contamination away from the surface of the paintwork. Then the GT3 was thoroughly washed using the Two Bucket Method, Q2M Mitt and GYEON Q2M Bathe shampoo. 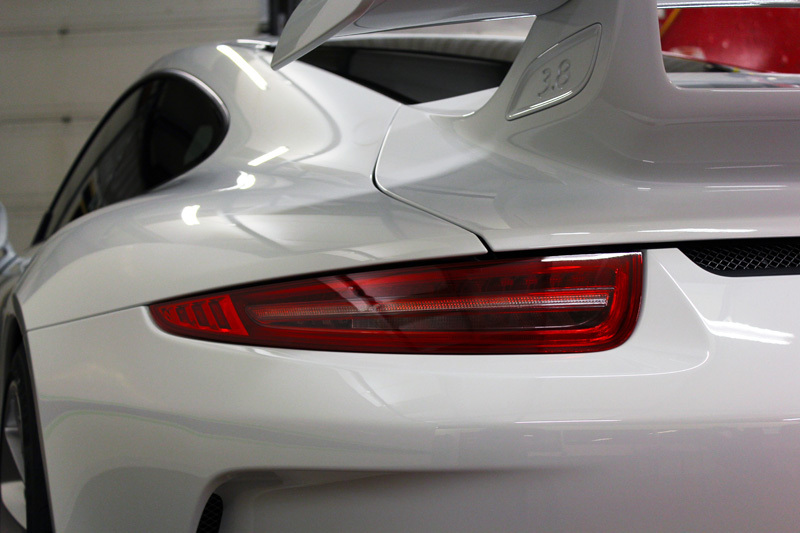 Next the GT3 was polished by hand using PolishAngel Escalate. 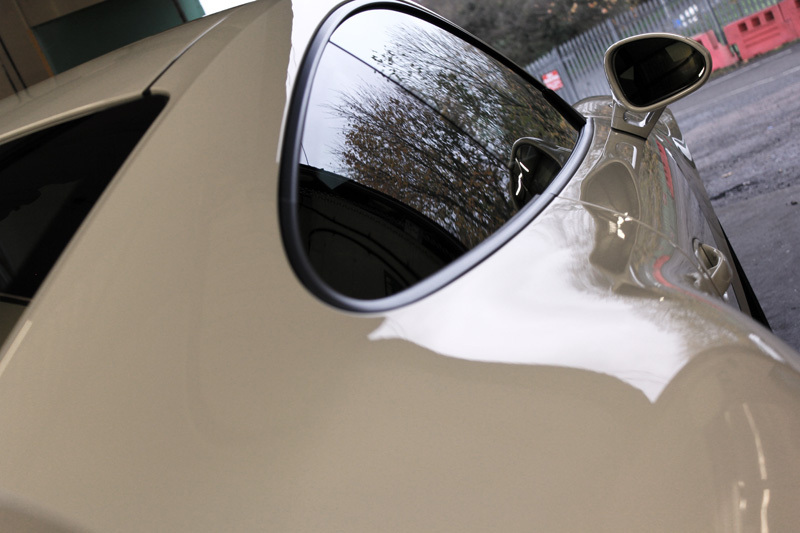 This step imparts additional shine to the paintwork and removes any very fine swirls. 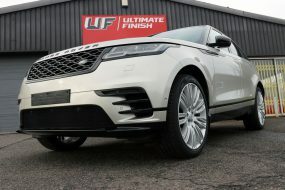 Then the paintwork and wheels were cleansed using GYEON Q2M Prep which lifts silicones, residual polish remnants and oils, leaving the surface bare and promoting sealant bond formation. 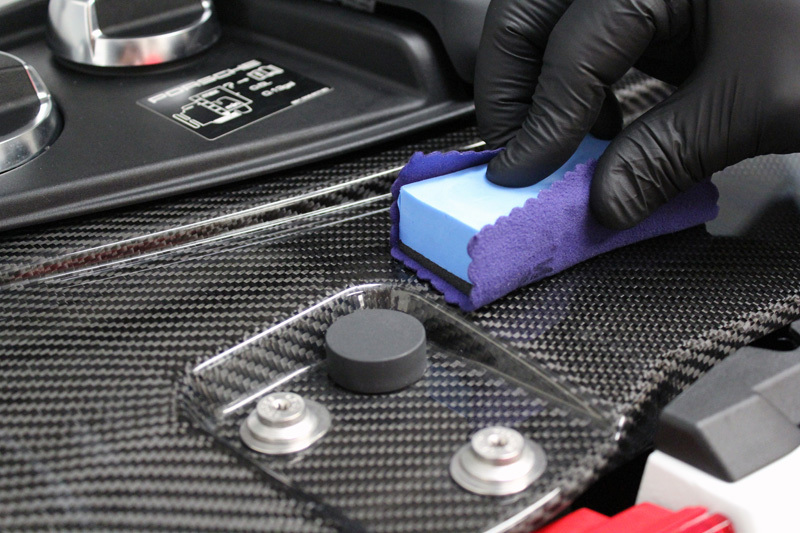 Whilst GYEON offer other sealants, the Q2 MOHS+ system requires professional application as temperature and humidity must be controlled in order for the sealant to achieve maximum potential. As such GYEON’s Q2 MOHS+ is available only as a service through certified detailers and comes with a 2 year manufacturer backed guarantee. 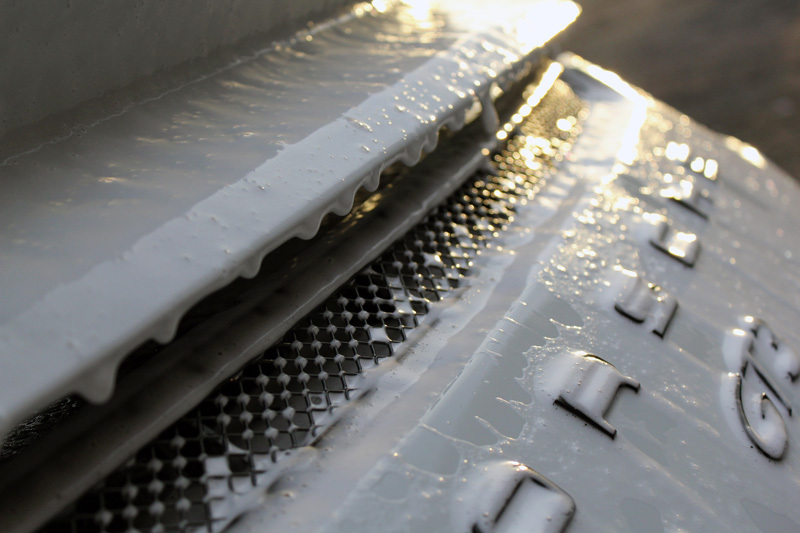 GYEON Q2 MOHS adds hardness to the clear coat, so cars treated with Q2 MOHS receive extra protection from swirls, harsh wash chemicals and industrial and environmental fallout. 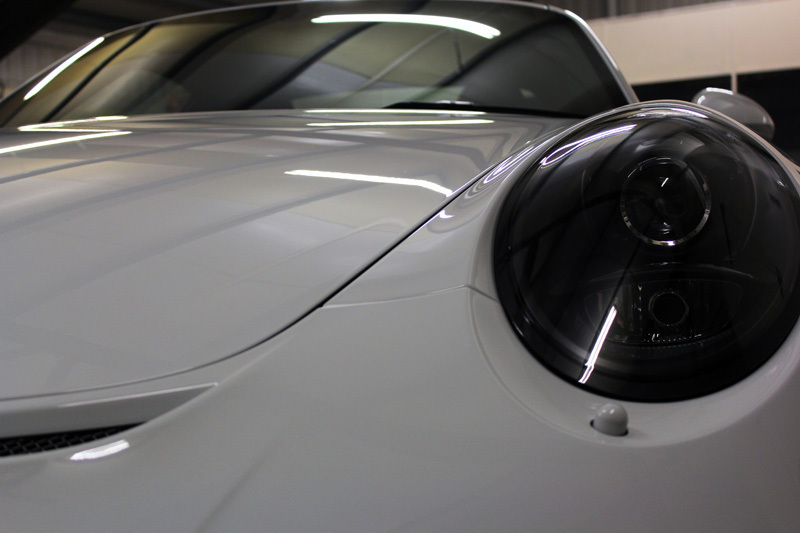 The coating also adds intensity to the colour of the paintwork and enhances the shine. – Derek Ginger, Master Detailer, UDS. The first layer of Q2 MOHS was applied and allowed to harden for an hour before a second layer was applied. The GT3 was then left to set for four hours. Next a coating of Q2 Phobic was applied, adding another level of hardness but also enhancing the hydrophobic abilities of the sealant. The GT3 was then left overnight, allowing the layers to bond and harden. Finally a layer of Q2M Cure was applied to protect the uppermost layer whilst full curing takes place. 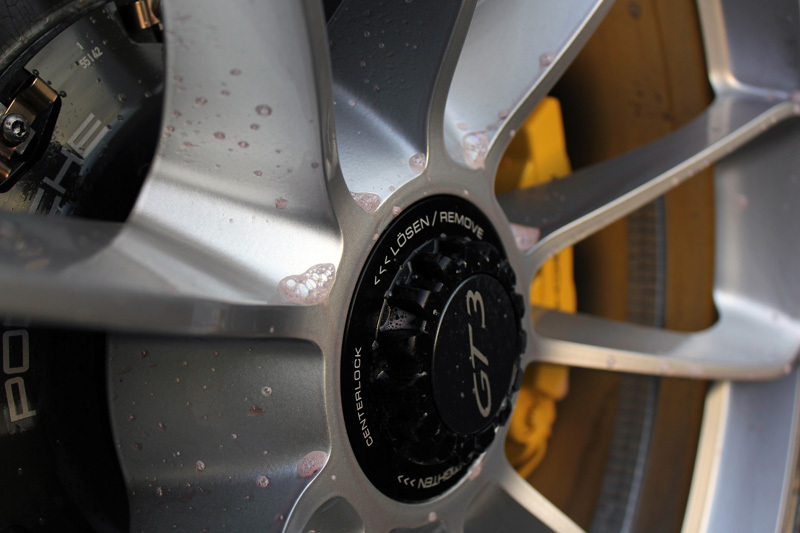 Then the wheels were sealed using GYEON Q2 Rim. 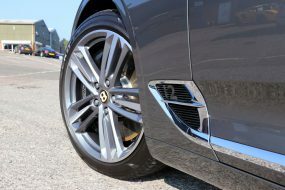 The tyres were dressed using GYEON Q2 Tire to leave a natural satin sheen. 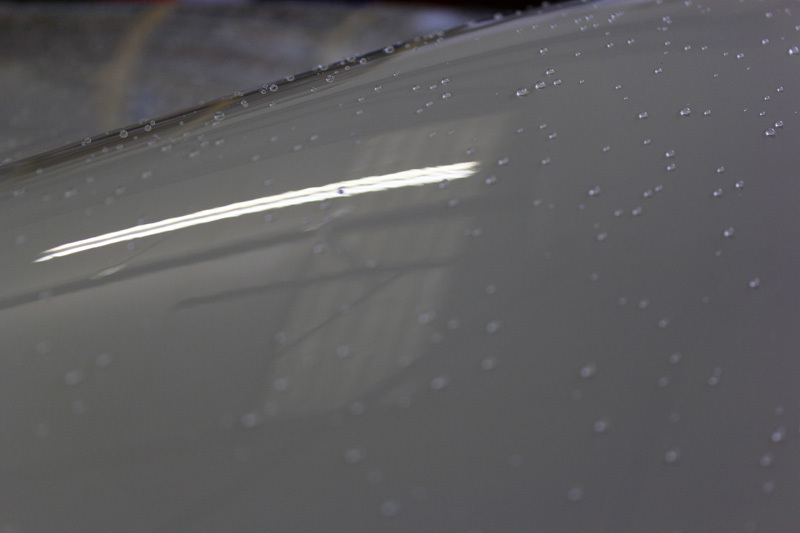 The exterior glass was sealed using Q2 View, a hydrophobic sealant for automotive glass which encourages rain to form into beads and blow away whilst driving. 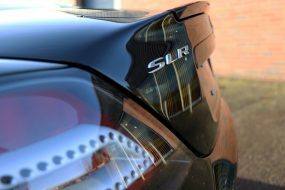 Once treated, the hydrophobic nature of the sealant will prevent snow and ice from bonding as readily with the window, minimising the requirement for de-icing on cold mornings. During colder months car windows have a tendency to fog over, so, as a final step the interior glass was treated with Q2 AntiFog. The British weather stayed true to wintry form but the shine imparted by the GYEON Q2 MOHS + system meant the GT3 still looked stunning, even indoors. In fact it just made it look even more menacing! The customer came to collect his car on yet another typically rainy, blustery afternoon. His pleasure and excitement was highly reflected in the glossy finish of the GT3’s paintwork and judging by the sound when he roared away, the ‘Noisy button’ had definitely been activated!